Qosina offers a variety of stopcocks that are in stock and ready for immediate delivery. 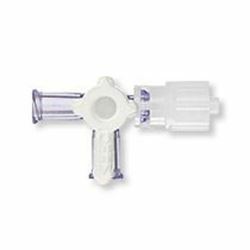 Qosina part #99775 is a 2-way stopcock that features 2 female luer locks and a male luer slip. 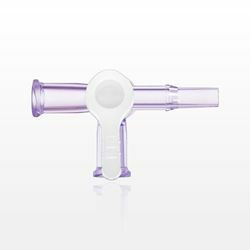 With a tinted poycarbonate (PC) body and white polyethelene (PE) handle, this 2-way stopcock will not discolor under gamma sterilization, can withstand up to 43 psi and is designed for the manual regulation of liquid or gas flow in a line. Qosina carries a large selection of stopcocks and manifolds for all your component needs. Qosina offers a variety of stopcocks that are in stock and ready for immediate delivery. 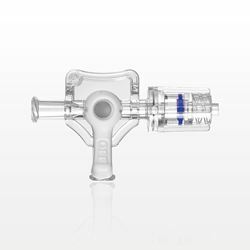 Qosina part #99776 is a 2-way stopcock that features 2 female luer locks, and a male luer with spin lock. 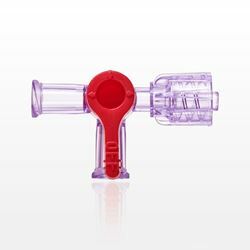 With a tinted poycarbonate (PC) body and red polyethelene (PE) handle, this 2-way stopcock will not discolor under gamma sterilization, can withstand up to 43 psi and is designed for the manual regulation of liquid or gas flow in a line. Qosina carries a large selection of stopcocks and manifolds for all your component needs. 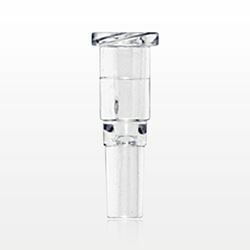 Qosina offers a variety of stopcocks that are in stock and ready for immediate delivery. 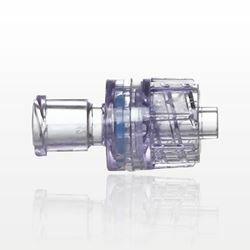 Qosina part #99774 is a 2-way stopcock that features 2 female luer locks, and a male luer with spin lock. 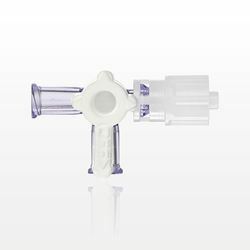 With a clear, poycarbonate (PC) body and white polyethelene (PE) handle, this 2-way stopcock can withstand up to 43 psi and is designed for the manual regulation of liquid or gas flow in a line. 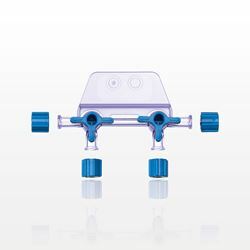 Qosina carries a large selection of stopcocks and manifolds for all your component needs. 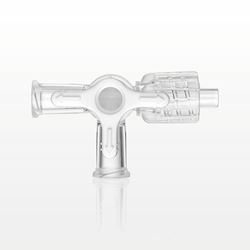 Qosina offers a variety of stopcocks that are in stock and ready for immediate delivery. 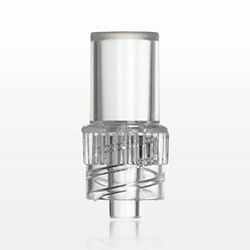 Qosina part #99516 is a 2-way stopcock that features a female luer lock, a 1/4 inch barb and a 0.402 - 0.378 inch OD port to be easily integrated into an existing build. 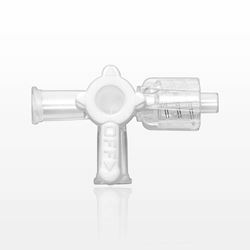 With a clear, MABS body and white HDPE handle, this 2-way stopcock can withstand up to 42 psi and is designed for the manual regulation of liquid or gas flow in a line. Qosina carries a large selection of stopcocks and manifolds for all your component needs. Qosina offers a variety of stopcocks that are in stock and ready for immediate delivery. 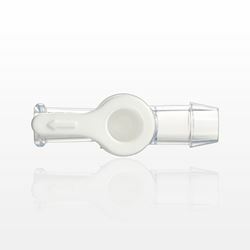 Qosina part #99517 is a 2-way stopcock that features a female luer lock, a 0.161 inch ID tubing port and 0.217 inch barb. 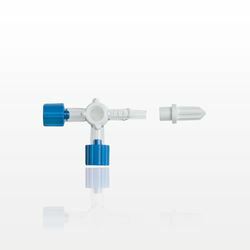 With a clear, polysulfone (PSU) body and white HDPE handle, this 2-way stopcock can withstand up to 29 psi and is designed for the manual regulation of liquid or gas flow in a line. Qosina carries a large selection of stopcocks and manifolds for all your component needs. Qosina offers a variety of stopcocks that are in stock and ready for immediate delivery. 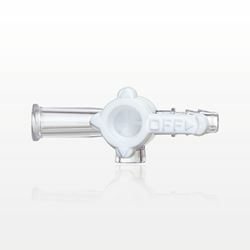 Qosina part #99515 is a 4-way stopcock that features a female luer lock, a male luer with spin lock and a 0.274 inch ID tubing port. 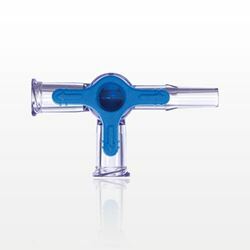 With a tinted poycarbonate (PC) body and yellow polyethelene (PE) handle, this 4-way stopcock will not discolor under gamma sterilization, and is designed for the manual regulation of liquid or gas flow in a line. Qosina carries a large selection of stopcocks and manifolds for all your component needs. 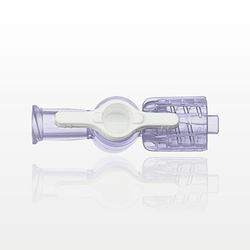 Qosina offers a variety of intravascular and hypodermic male and female connectors, stopcocks, hemostasis valves, and check valves that are compliant with the ISO 80369-7 standard. 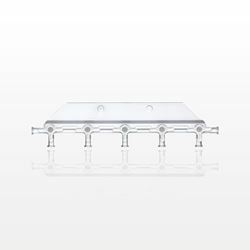 ISO 80369-7 components are in stock and available for immediate delivery. The ISO 80369-7 standard replaces ISO 594-1 and ISO 594-2, but it has been consolidated and technically revised. 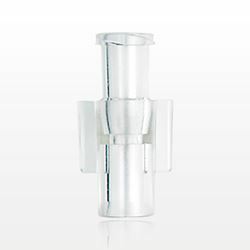 It is expected that all existing ISO 594 connectors will meet the requirements of ISO 80369-7 by 2021, and that when testing or validation occurs, it is made using the requirements of ISO 80369-7. 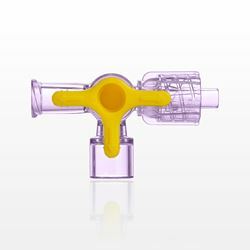 The Qosina full-line catalog contains OEM medical device component supplies and features full-scale photographs of thousands of stock components on a one-centimeter grid. 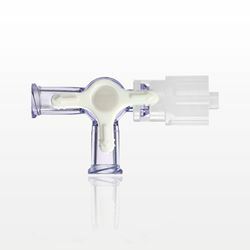 Qosina offers low minimums and short lead times on intravascular and hypodermic components for single-use systems. 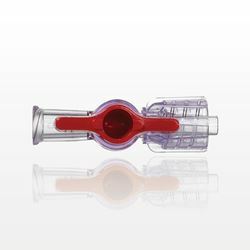 ISO 80369-7 connections following the intravenous (artery/veins) therapy (IV) design include systems with the purpose of infusion of liquid through intravascular or hypodermic applications. This series will replace the current ISO 594-1 and the ISO 594-2. 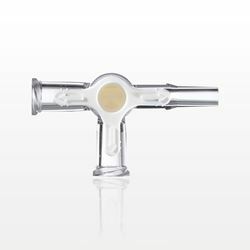 No physical changes to the current luer specification are anticipated.